Application and QuickBooks will both get hang, and it Does Not Respond. 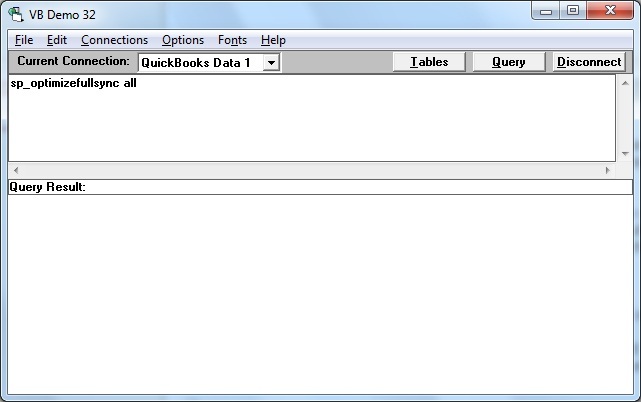 Then After, the application is forced to close, QuickBooks becomes normal again. 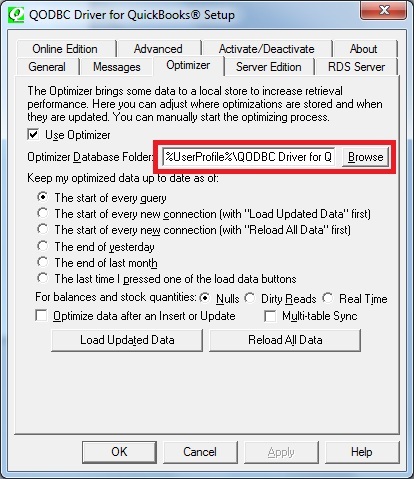 Close All application using QODBC & un-select "Use Optimizer" (QODBC Setup Screen->Optimizer Window->Uncheck "Use Optimizer" option). Then use our test tool VB Demo to test again to see if the problem is still there. And if QODBC works with optimizer turning off, then there might be problem/corruption in your optimizer file. You need to reset your opt file store path. 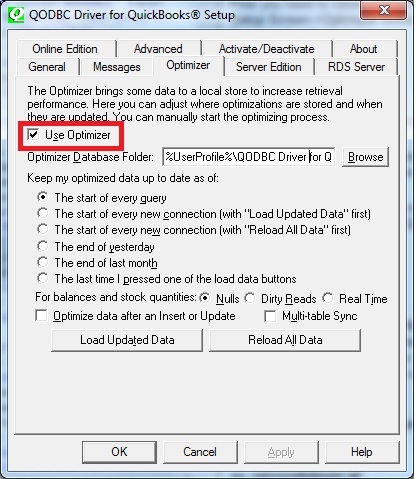 You can simply find the path setting at QODBC Setup Screen->Optimizer Window. The default path is "%UserProfile%\QODBC Driver for QuickBooks\Optimizer", please set it to "%appdata%\QODBC Driver for QuickBooks\Optimizer" or use another folder which you have full authority to access it. 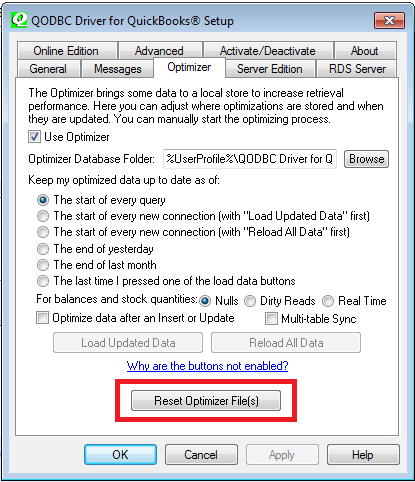 This command will re-optimize all QuickBooks data and create a new opt file in the folder you assigned. In-case you are using connection string or linked table in MS Access to connect to QuickBooks, please remove the former connection string or linked tables and re-build a new one to make sure that it points to the new opt file store path.